Fireside Chat - Can Sustainability and Globalization Co-Exist? Join us for our inaugural fireside chat featuring two leading faculty, Professors Tensie Whelan and Robert Salomon. This is an exclusive invitation for our Executive Education community. The discussion will be focused on the intersection of sustainability and globalization in the business landscape. Please join Stern Alum Steve Falci, CFA the Chief Investment Officer of Impax Asset Management LLC for a lunchtime discussion. Students will hear from Steve and learn more about his career, and the firm’s sustainable investment strategy. There will be ample time for Q&A at the end. Learn more about Steve Falci here. Come learn about Trucost, the part of S&P Global and the S&P Dow Jones Indices that assesses risks relating to climate change, natural resource constraints, and broader environmental, social, and governance factors. 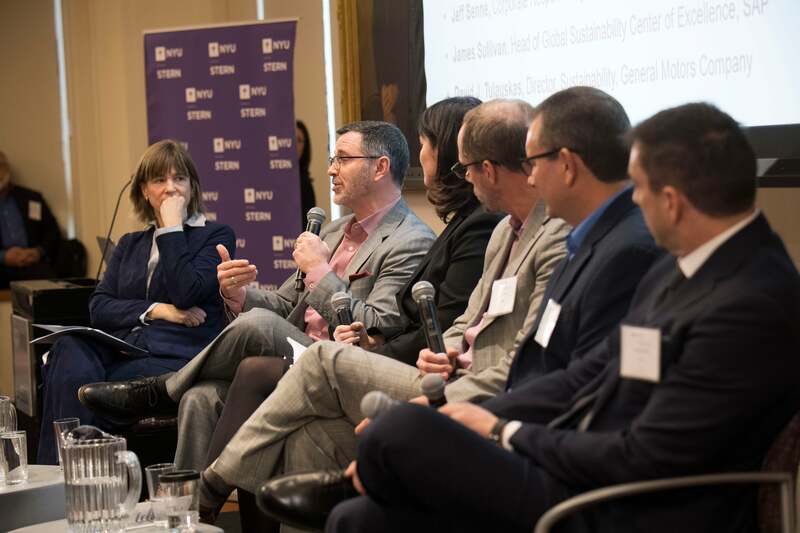 On April 3, NYU Stern’s Center for Sustainable Business hosted a panel discussion entitled, “The Intersection of Sustainability, Sports and Business”. Dr. Ayana Elizabeth Johnson is a marine biologist, policy expert, conservation strategist, and Brooklyn native. She is founder and president of Ocean Collectiv, a strategy consulting firm for conservation solutions grounded in social justice. Come take a deeper look at environmental issues under the Trump administration in a conversation with experts in business such as Tensie Whelan, the Director of the NYU Stern Center for Sustainable Business, as well as local and state government on environmental action in the absence of federal leadership. The Cooper Union and Climate Change welcome you to the Voices of a Generation conference, where they will tackle the question: Millennials, what will your 21st century world look like? Please join us for an exciting and informative panel discussion around the past, current, and future state of corporate sustainability leadership. Following an overview of new expert stakeholder research on sustainability leadership by GlobeScan, this moderated conversation will feature reactions and insight from corporate leaders at McDonald's, PepsiCo, and SC Johnson.